May – The easy Month ! Stage 3 the goal was to try get Roy closer to the points jersey and maybe even into it if all went well. the stage once again started very fast on rolling roads. As the big teams were trying to let the break go Roy managed to get away and ride across to the break. We kept feeding him information to what was going on and what he should do. He managed to take maximum point and was virtual points jersey on the road and we then told him to take it easy and if he made it over the main climbs before the peleton caught him maybe he would have a chance of the final sprint. Unfortunately he was caught and drop before all the hard climbs were over. He then was taking risks on the descents to try stay in contact with the race. The risks didn’t pay off and instead they resulted in him crashing hard on the descent and also crashing out of the race completely. What was looking like an amazing result by the end of the tour for the team was gone. Next up will be Tour du Maroc. A great race which I really enjoy as it’s a 10 day race covering nearly 1600km. After a great sprint in the final stage Jacob will be going into this race with the belief he can do well and the team spirits are high ready to keep the ball rolling for more results. I’m also hoping for some results in the race as a previous stage winner. Now I’ve been home for nearly 2 weeks, I’m ready to get out to Morocco for the race and the warm weather. This rain and cold weather isn’t very enjoyable for training. After a short week at home after winter training in Spain it was time to head to Rhodes to meet my new team for 2017 and start the racing properly. I arrive in Rhodes 5 days before the first race, Rhodes GP UCI 1.2, this gave the team time to get to know each other and get the bikes sorted. The first 5 days were really good getting to know my new team mates, we were able to do some good rides and also get some good beach time in. We even found a great cafe for cakes which is always a massive morale boost. Rhodes Grand Prix was 191km and was 1 full lap of the island. The weather was perfect for the race with clear skies and 20 degrees (ideal for tanning). The start of the race was flat out until a break eventually formed, well 2 riders so the bunch just sat up and was fairly chilled till the bottom of the main climb of the race. the pace was on up the climb with attacks all the way up and speeds of 50kph getting touched on the easier gradients. I was able to stay in contact with the main bunch of around 70 riders over the top. Once it flattened out the race became constant attacks for the final 50km. With 25km to go I got away in a break of 2 for 10km before a group of 8 came across to us. The group worked well together until 5km to go and riders started to look at each other and the gap started coming down quickly. So I tried a few attacks to try to get a smaller group away and working again. Unfortunately that failed and we were caught within 3km to go and that was my race done and it was over to my team mates for the sprint. A bad crash involving 2 police motor bikes took out the teams sprinter, lucky he wasn’t badly injured and will be back racing soon. The next race we did was Tour of Rhodes, which was 5 days after the Rhodes GP. After an easy day the team rode stage 1’s route to get a good training ride in and also to get us familiar with it. Good job we did that as the next few days before the race it just rained and rained. For stage 1 of tour of Rhodes the weather didn’t change with rain forecast for the day. The race started in the dry and had a flat 35km before the first big climb of the day. Luck wasn’t on my side this day with 2 punctures in the first 30km and team car 26 it made for a very hard run in to the bottom of the climb. I manage to hold on up the climb and make the second group on the road and finish in that group. This meant out of the general classification and hopefully a chance to make the breaks. Stage 2 started in heavy rain and had a climb after only 20km so the plan was to get in the break. I tried a few times to get in the break but failed. Also I had started to feel sick during the stage and was sick a few times later in the stage. After a bad stage of just surviving I got back to the hotel where the sickness really started and ended the race for me. As much as I wanted to start stage 3 I was too ill to do so. After Rhodes I had a short stay at home where I raced a national B road race in Scotland. The race was hard with it been short at only 100km. It was mainly attacks from start to finish, I missed the winning 2 man move but was able to get away in a move of 3 and sprint for 3rd. This was good for morale, before heading to Taiwan to compete in the Tour of Taiwan. I leave on 20th to arrive early to meet team sponsors, go to Taiwan bike show and have team press conferences. The race will start 26th March and is 5 stages long. So after nationals I went to Gran Canaria for 10 day of training and chilling out away from the UK. Going abroad was a good change and give some more motivation and boosted my morale. The training was more to enjoy riding a bike rather than be structured. I was riding each day and just doing what I wanted which was nice. I did roughly 4 hours a day with 1 rest day. As the island is very hilly it meant I just rode up the climbs at tempo to threshold as I enjoy that type of effort strangely. With a good block of riding in I came back to the UK 2 days before Ryedale GP. This race is one of the toughest on the UK calendar. A break got away early and no NFTO riders were represented so they controlled the race till the break was pulled back. Unfortunately a lap before the catch was made I dropped my chain at the bottom of the climb through the campus grounds. I chased hard and got back on just as the break was about to be caught, this wasn’t an ideal situation as I was near the back for the climb and big splits were happening on the climb. I managed to ride my way on to the second group on the road riding for 18th which was a big ask to gain that much ground to get on to. On the final lap I was able to get away in the campus and take 18th. 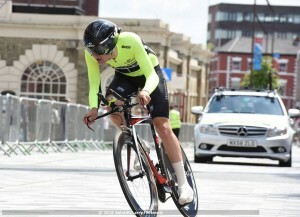 Happy with how my legs were I was looking forward to Wales GP the following week. The race started fast and I was well placed in the top 30. Then there was a bad crash involving a car and the bunch, lucky no one was badly hurt. The race got stopped for some time then neutralized for some time. Not knowing what was happening I was just talking to mates and then the race kicked off again, it was lined out and I was badly placed. Going into the narrow section near the back wasn’t the best as it was very hard to move up. On the climb that was around 8 minutes long the race split to bits I moved past a lot of riders on the climb and was still out the back of the race. I managed to ride myself back onto the peleton over about 15 km. This took a lot of energy but I was the last person top get back on. The race went on to a 7km crit like course, been near the back on a course like this is less than ideal with big kicks out of corners. I managed to keep in contact for 6 of the 10 laps before the elastic snapped and my legs couldn’t respond anymore. This was game over for me and not the result I wanted. I knew my legs were good and on the club 10 on the Thursday after Wales I managed to do an 18.48 on my local course taking 25 seconds out of Chris Newton’s Course record and 43 seconds out of my course PB ! The day after I traveled down to Milton Keynes for The Corley 3 day. Stage 1 was around MK Bowl. The race was fast from the start with no breaks sticking. After 40 minutes I got away solo meaning I had 20 minutes plus 5 laps to do. Spirit Bikes had all 10 riders on the front chasing flat out to bring me back and they eventually did with 3 laps to go. I finished 10th after my efforts. Stage 2 was a 80km road race on a 4km course. the break when after 5 laps and I was able to get in this. Pedal Heaven had 3 riders in it but weren’t committed and the break came back with 2 laps to go. on the final lap I attacked at the same time as George Atkins with around 1.5km to go, we got clear and managed to hold off the bunch to the finish. I was able to out sprint George for the win. The win put me in the lead going into the 9km team time trial. The team time trial went well with the team giving it their all. The team were 4 seconds behind spirit bikes who took the lead back with that time split. Going into the final stage I was in second place 2 seconds down. Spirit took the race on attacking from the off. I managed to get in the break with 3 of my team mates and 4 spirit riders but the spirit riders wouldn’t work with us and the break was brought back with 10 miles to go. On the final lap I attacked within the final km. The race finished about 200m after the top of a short climb. I unfortunately got swept up with 150m to go. Thinking I got 3rd on the GC but there were gaps in the top 5 on the stage and I slipped down to 7th on GC which wasn’t great news. On the 30th I went to Levens 10 mile Time Trial hoping for a fast time but the weather was against me. There was a strong head wind out and the wind dropped slightly on the way back. I ended up with 19.11 and 2nd place to Ryan Perry so not too bad. The day after I was at The Billy Warnock Memorial Road Race hoping to retain the win from 2015. I attacked from the start and a group came across to me after 10 miles. We worked well together but then a chase group got across and the group was too big to work well together. So me and Charlie Tanfield kept attacking the group until Charlie got a good gap from counter attacking once I was brought back. He was in a 3 man move. The team just shut moves down and the gap to the 3 leaders went out to over a minute and the peleton brought us back. With 1 lap to go and the gap to the leader at around 1 minute 30 seconds. Fraser Martin attacked and I followed him, after 2 miles we went into the head wind section and I rode away from Fraser and managed to bridge to the 3 leaders with 6 miles to go to the finish. Charlie attacked with about 5 miles to go and I just sat on the other 2 until about 2 miles to go and the gap to Charlie around 40 seconds. I got away on my own and was closing on Charlie but the win was his if I caught him or not. I ended up finishing 9 seconds behind him and took 2nd. A great day out for the team getting a 1,2 in the race and the same result as 2015. The race was a success. Onto August now and a 9 day stage race at the end of the month. So 2 weeks of good training is planned ready for that. Sorry no pictures this month, having technical issues! 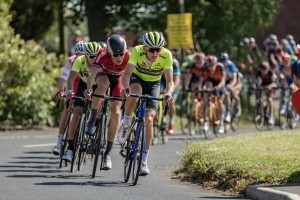 So the first weekend in June saw the Regional Championship Road Race. My region is the North East, I’ve felt the pressure of this race for some time this season as I won it in 2015. One of my season goals was to defend the title. On the day of the Regional road race, I was feeling in good shape. As the race started it seemed that no one was interested in racing, the neutral had finished and there were no attacks. I decided to try upping the pace to start the race off as I wanted it to be hard from start to finish to wear people down. I looked back after about 300m of upping the pace and had a gap, which I wasn’t expecting at all. I decided to keep riding at tempo and I just kept taking the gap out. At one point in the race I had 2 minutes on the bunch, being away meant I took the first KOM (King of the Mountain) points. After 50km the bunch finally caught me, I was hoping that a small group would but I still felt good and was able to follow most moves. After the second descent of the Ryals a break went up the road and I missed it, but I was able to bridge across on my own. Unfortunately this break was caught shortly after. About 5km later a 3 man move went and they were all strong riders and I knew that was the winning break. I attacked and got across with 2 other riders. We all worked well together until the end. On the penultimate ascent of the Ryals I comfortably took the KOM points and was feeling confident about the win as we had one lap to go and the race finished at the top of the Ryals. Coming into the foot of the Ryals the final time, I attack at the start of the first part of them and soloed to my second Regional road race win, and my team mate Richard Jones got a great 2nd place. 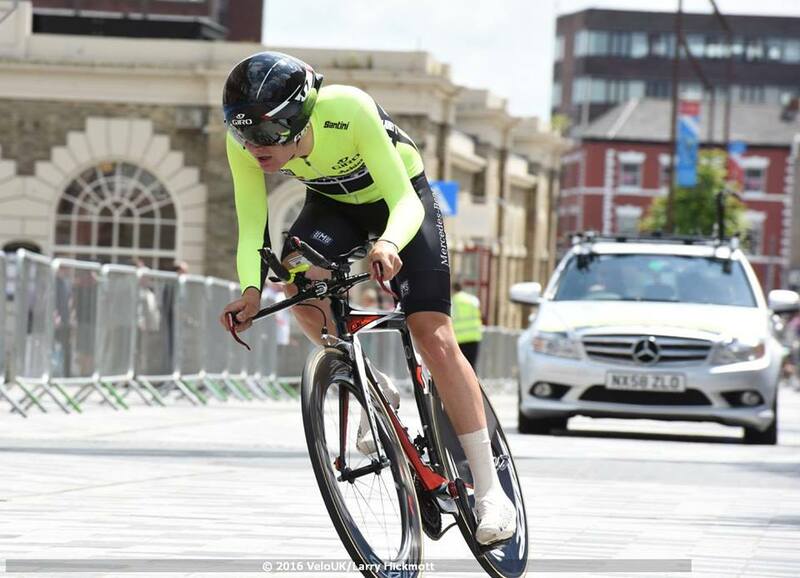 I continued training hard after the regional road race as my main goal of the season is to get a top 5 in the U23 National Time Trial Championships, I was 10th in 2015. The weekend after the win I did a 25 mile time trial in preparation for Nationals. The field was strong with names like Harry Tanfield, Josh Teasdale and Keith Murray. I was unsure how I would do as it was my first 25 since 2013 and I had never beaten Josh or Harry in a time trial before. The day was a perfect day for a fast time. I knew what numbers I should have been able to do so I just aimed to ride to that and hope that was enough for the win. I did the 25 miles in 47 minutes 12 seconds, this is over 6 minutes off my personal best 3 years ago and it also was fast enough to take the win by around 30 seconds. Later that day I found out this time puts me the 13th fastest person in the UK over 25 miles, so this time and the data gave me a lot of confidence for the Nationals in 2 weeks. I took an easy weeks training after the 25 as I had the Beaumont then Nationals so wanted to be fresh for these events. 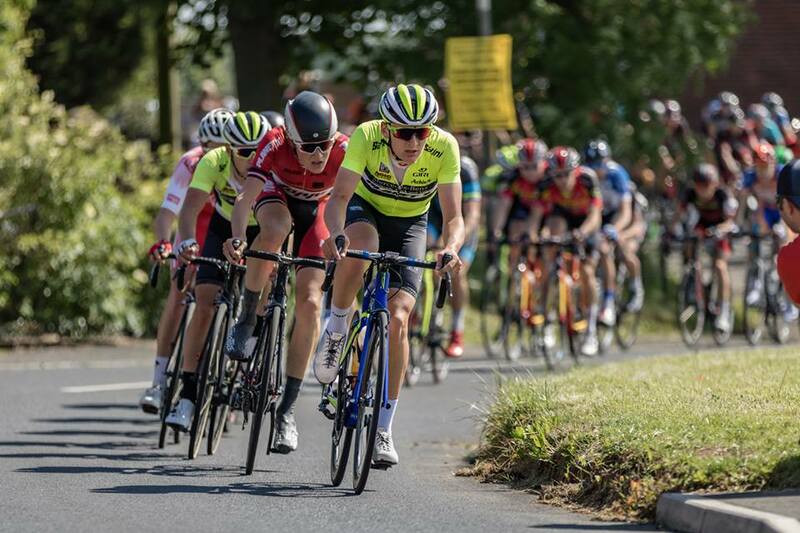 My form had been good so far this month, and in the Beaumont Trophy UCI 1.2 I got in the early move and was hoping the race would come to us but there wasn’t enough big teams in it, so after 100km in a 5 man move we were caught. In the process I was only able to manage 2nd in the sprints and KOM competitions. I was able to stay with the bunch for the rest of the race. The result wasn’t the one I was hoping for but I was happy with my legs going into Nationals week. It would have been nice to win the KOM or sprints competition but that’s racing. With only 4 days till the National Time Trial Champs I aimed to recover as much as possible and go into the time trial with fresh legs. The field for the under 23 time trial was very strong and going off last years results it was going to be a hard goal to achieve a top 5, but I kept positive and just focused on giving it my all and leaving everything on the road. The course has a technical section through Stockton town centre and then an out and back dual carriage way section. I planned to try carry as much speed through the corners as possible to try to prevent big spikes in my power to help me maintain a higher power for the 22 miles. I was 10th seed and when I finished I was in 2nd place, 7 seconds behind 1st, all the favourites were still to come in and it was a nervous wait to find out how far I would get knocked down the results. All was going well and only got knocked down to 4th and just missed out on a podium by 7 seconds, while only been 37 seconds off the winner was great. Last year I was around 2 minutes of the winner. I’m really happy with the improvements gained over the last year and hitting my goal for 2 years in a row. Last years goal was to get a top 10 which I achieved 10th and this year was to get a top 5 and I got 4th! on and I slipped out of the top 20 and by the time I got near the front a group had gone off the front. I knew that would be the winning move so tried to get across but got within 5 seconds and couldn’t close anymore which was gutting. Once the break was set no one was really riding so a small group of us just started riding on the front until we got pulled out at 170km. This was annoying as there was only 6 u23 riders up the road. The race was a great experience and I learnt a lot in the 4 hours. Now I’m going to Gran Canaria for 10 days for a mid season training camp/ holiday to get focused and ready for the final few months of the season. May’s Blog – Tour Series! The month didn’t start off that great with my body still feeling the effects of my illness in April. My first race of the month didn’t go well in Scotland and it was a DNF. I knew I had to turn my form around so was started training hard and putting some big miles in to get ready for the end of the month. I was training twice a day including local evening races to help get back into some decent shape ready for the North East Regional Championships on the first weekend in June. I have won 2 local races after a decent training session in the morning. I’ve also been doing local time trials to see how well I’m coming on. I raced Lincoln GP, it didn’t go to plan as I was too far back first time up Micheal Gate and spent most of the race chasing on. Eventually I got back on and into the bunch before attacking with 4 laps to go. I got into a 7 man group and thought we were riding for a top 20, but with being off and out of the back for so long I didn’t know 30 plus riders were up the road. I finally finished 39th, not the result I was looking for but was a good hard 4 hours. I raced locally the day before and came 3rd in what was a hard 1 hour 15 minutes. On to the Tour Series. The team were in for 4 rounds of the series. The rounds I did were Motherwell, Edinburgh and Durham. Motherwell didn’t go well at all I started back row and couldn’t move up and the elastic snapped after 15 minutes. This backed up the fact I’m not good at crits! Edinburgh – a course which suits me better as a road rider who likes grippy races. Unfortunately I started at the back again and was held up a few times early on due to the bad conditions of heavy rain and cobbles. I managed to ride and pick people up lap by lap and finished 26th. This was my best ever tour series finish out of 5 rounds over 3 years. Between the Scottish tour series rounds I had a free weekend with no racing so I did a big week of training. Nearly 600 miles in 8 days to gain some condition back ready for the regional champs and a big month ahead in June with the Nationals. Durham – another course that suits me. This time I was starting 3rd row. I was still badly placed due to the pinch points on the laps. I managed to just keep riding at my own pace and ended up 22nd on the night I didn’t sprint as I thought I had another lap to go but still my best finish in a Tour Series round. 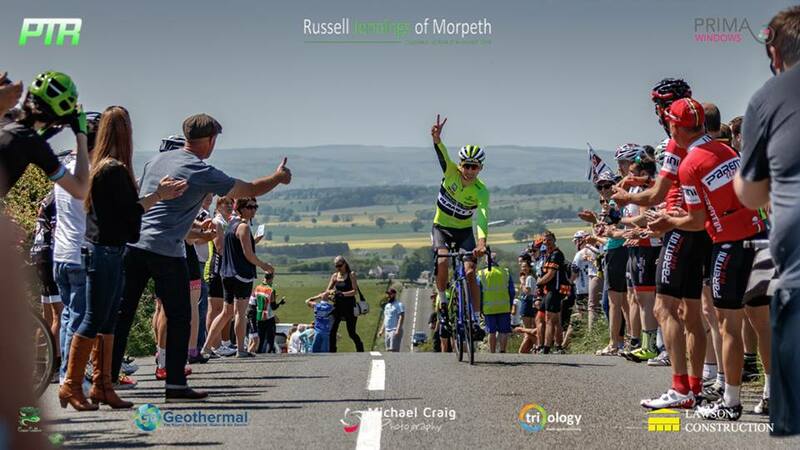 The weekend will see me compete in the North East Road Race Champs where I’m defending champ. 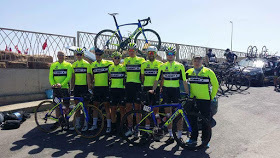 To start the month off I had a 10 day UCI 2.2 in Morocco with the team. Tour du Maroc stage 1 was a hard day with lots of attacks for the first 90km’s and then eventually a break of 18 got away with me in it. then 5 riders joining with 20km to go. I attacked with 8km’s to go but was caught with only 2km till the finish. The last 1km was up hill and my legs went with 300 meters left and I rolled over the line 16th. Stage 2 I managed to get in the break again after 40km. the break was 5 riders but with only 3 working, we got the gap to 7 minutes at one point but it started to come back in. with 30km to go the gap was 4 minutes 30 seconds and no one from the break would work at this point and I kept riding and unfortunately we got caught with about 4km to go after been away for 110km. I managed to stay in the bunch and finish on the same time. While in the break I was able to pick up a couple of seconds in the sprints to move me up in the GC. The 1st Cat dirt climb – very grim ! Stage 3 was a tough day with having 2 days of being in the break and there was a first cat climb 15km into the race. 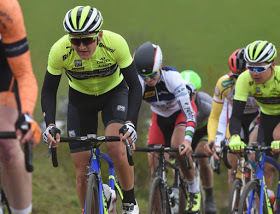 I managed to get over the climb and stay in the bunch later in the stage attacks started going with around 20km to go I got into a move with my team mate. This move didn’t stick and was caught with 10km to go. I finished in the bunch along with 2 of my team mates. Stage 4 was a 195km and mainly flat day. A break went from km 0, the team got a rider in the 4 man break and the break lasted until 2km to go. The race was sketchy in the middle with it been an easy day and people were switching off. This caused a few crashes and one of the crashes took down 4 of the team including myself. I was able to get up quickly and sort my bike out myself. I got back in the race within a few kilometers. Unfortunately this crash made 2 of the team lose too much time and started to draft and got disqualified. Stage 5 is the queen stage of the tour with 4 categorized and 200km. The weather was awful on the start line with high winds and heavy rain, not ideal weather conditions for the up and coming stage. An early break went and I was able to bridge to it with a team mate. The break was around 15 riders and stayed together over the first climb. On the second climb of the day the pressure went on and the break split, I was able to make the front split on the climb. My plan was to get over the last climb before the break was caught as I’m not an out and out climber. The final climb was mainly a dirt road and unlucky for me the break was caught with around 3 km to go to the summit of the final climb. I lost contact with the leaders on the climb and crested the climb in the second group. the descent and run in to the finish was very windy. The descent started with a strong head wind which was nearly stopping us and it did actually cause riders to stop. Then we turned and it was a fast tail wind and we were hitting speeds of 100kph. Once the road flattened off the pace was high with such a strong tail wind, the wind was changing from tail to cross all the way into the finish. With around 25km to go the cross winds were strong and pushed the echelon too far across and put 2 of us in the gutter including myself and we lost contact with the group. It was really hard to get back on due to spinning out the biggest gears we had. I eventually finished 6 minutes 30 seconds behind the race winner, I was 24th on the day and was sitting high up in the KOM competition. Stage 6 was the shortest day of the tour at 126km long. I had an easy day this day just following the wheels, then sat near the front for the rest of the day. Stage 7 started with a rolling coast road where the pace was high from the start. The first climb of the day shelled a lot of riders and the race stayed on all day. The break was caught too early with 20km to go then the attacks started and a group of 5 got away and stayed away. 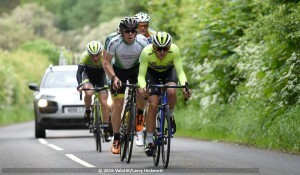 I was on the front working to try bring it back for my team mate in the sprint. He ended up getting 4th in the bunch sprint and 9th on the stage. It was a shame we couldn’t get those 5 riders back. Stage 8 started with a climb straight from km 0. I was feeling full of cold before the stage and suffered up the climb just holding on to the bunch. Shortly after the summit of the climb I punctured and had to chase back on through the convoy. I was spent most of the day in the back third of the bunch. I got near the front before the final crosswind section but got swamped just before the left hand turn and the race split to bits. I managed to make it up to the second group on the road. This group finished 2 minute behind the winner who won solo. Stage 9 was another day of survival mode and trying to get round in the bunch which I nearly did until at 1 kilometer to go where I lost the wheels from being too far back. Finally stage 10 and the race started with lots of atacks with a break going after 30km and then the race was controlled by the yellow jersey team. The break was coming back until the yellow jersey had a mechanical, this caused everyone to neutralize the race and wait for the yellow jersey. While the race eased the break went back out to around 4 minutes, with around 50 km to go. The break was not caught and I finished in the bunch after a hard day of racing while ill. The race was a great experience and I learnt a lot from it. I also met lots of new people and made some new friends. This is the great thing about cycling – meeting new people and seeing new places. Overall the race went well getting 22nd on the general classification, 5th in the young rider classification and 5th in the KOM classification. Illness after Morocco hit me hard with the cold going to my chest and developing into a chest infection. This caused me to have to drop out of the tour of the reservoir unfortunately. I had time off the bike and aimed to be better for Rutland Melton Cicle Classic. I wasnt 100 percent going into it though. Rutland Melton Cicle Classic UCI 1.2 Four of us traveled down on the Saturday to ride some of the sectors as a race recce. On the day of the race the weather was cold but dry. As always the laps around the reservoir were sketchy and there were lots of crashes. On lap one I had an attempt at getting way which came to nothing, then shortly after the race was neutralized then stopped due to a bad crash that happened on lap one. While the race was stopped the cold got to my chest and started my cough off and then I couldn’t stop for the rest of the race. I was still in the bunch the first time over Somerberg but that was the end of my race due to a badly timed puncture. It took me around 5 minutes to get a spare wheel and with that time lost to the race it was game over. Onward and upward to the next race. Thanks for reading this months blog. After 8 weeks training in Spain it was time to come back to the UK to start the 2016 season. The 8 weeks over there was great, I was able to get a good base ready for the long season ahead. In those 8 weeks I was just shy of 200 hours in the saddle. The week I returned I unfortunately got a cold which set my planned training back. At the end of the first week back I was at Glasgow helping Planet X with some wind tunnel testing for their kit. This was a great day and I found it very interesting, the aero gains off little things can make a massive difference. Another week of riding and not training due to the cold I was carrying, didn’t look good going into Holme Valley 2 Day, luckily the cold had gone by the Wednesday. Not knowing how I would be going at the race, I just gave it my all in the first stage which was a time trial, my power was down from in Spain but was still higher than all of last year which was a positive. I managed to get 2nd in the time trail. Stage 2 on the afternoon went well with the team eventually winning the stage after many attacks, and I also held onto 2nd overall. Finally on stage 3, the team took the race on and we aimed for the win. 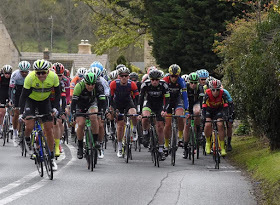 A move went up the road with my team mate Dan Bigham in it, and the gap was going out with every mile covered, so I eventually got away from the peloton on my own thanks to the help of my team mates. My legs felt good and I bridged the 40 second gap in around 4 miles. Once in the break it was only me and Dan working, we still managed to take the gap out to 2 minutes 50 seconds at one point and I was the virtual leader on the road. Unfortunately the on form Ryan Perry brought the gap back in 1 lap with help from his team mate. We were swept up with 10 miles to go, at what point Adam Kenway attacked and soloed to a stage win and also taking the overall and knocking me down to 3rd overall. The race was a good indicator though to how well I’m going and to how well the team are doing. The next week I did an overload week of training with a local circuit race on the weekend were I was 2nd with Harry Tanfield of Pedal Heaven taking the win. Now on to this week just gone, I took the week rather easy as I had the first big race of the year at the weekend (Chorley GP). I was feeling good before the start, and after the first time over the climb I was in the front 10 down the decent. At the bottom of the decent I was 3rd wheel and rode hard out of the left hand turn and got a gap so I just kept riding, this put me in a breakaway which Ian Wilkinson joined me about 2 miles down the road, then Rob Partridge joined us a few miles later. We continued to work together and did 2 laps before getting caught by the peloton controlled by JLT. While in the break I managed to get 2nd overall in the sprints competition. At the end of the race I managed to get 24th. Overall I am happy with how the legs are doing so far. 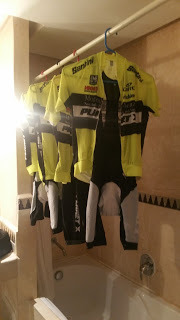 Now I head over to Morocco for Le tour Da Maroc a 10 day UCI 2.2 stage race covering 1540km. After 3 weeks of endurance rides and an average over over 25 hours per week, I had an easy start to my 4th week in Spain with 3 easy days at the start of the week before starting my next block of training. Unfortunately I was unable to get a start in the race on 31st January due to it getting capped at 200 riders. This messed up my training a bit due to having an easier day before and not getting the race in. Another week had gone and I started my 5 weeks of training. This was the first full week of structured training after 3 weeks of endurance miles and an easy week. My hours have got shorter with the intensity increasing. Once again on Sunday I didn’t get to race, this time due to my own decision of not wanting to ride 30km in the rain then to wait around wet for 2 hours. Luckily I made the right decision as I found out that the race had to be abandoned due to high winds. 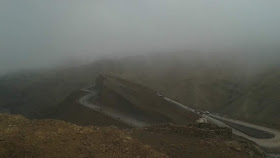 This meant I didn’t miss a day’s training as I was able to get out once the roads dried up. 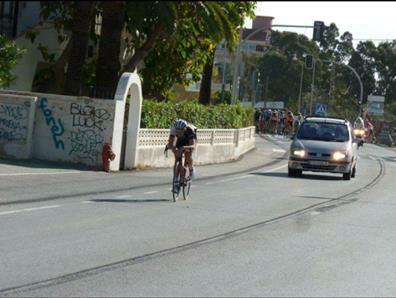 One week on and another hard weeks training, I went to the race in Denia. I was feeling good and was in a few moves, eventually getting away solo with 20km to go, but unfortunately I got directed the wrong way as some of the organisers thought there was another lap left. I had ridden about 5km before the motor bike told me we were going the wrong way and I had to turn back. The motor bike just turned around then left me so I had to abandon. I wasn’t happy! 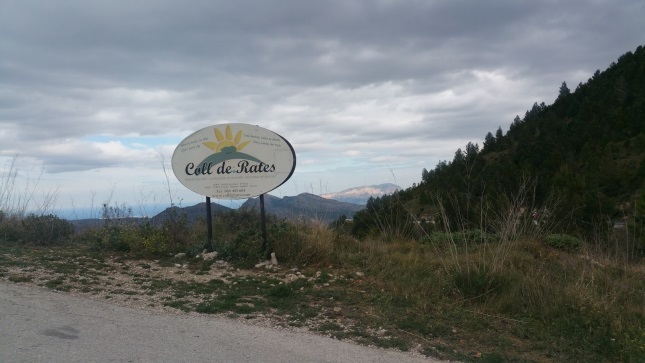 Coll De Rates where most of my efforts were done. Week 7 was set to be a hard week with lots of effort. The training went well with all my efforts done at the power planned and some I was able to at a higher power than planned. All good for the coming season and seeing improvements each week. That week also ended with a race where I was active throughout and getting in some unsuccessful breaks. On the last lap someone attacked on a climb and I followed it, by the bottom of the decent there was a group of about 8, another attack came on the next climb and 3 went clear including me. Fatigue of training hard all week took its toll on me and I was unable to match the other 2 riders on the climbs and eventually got distanced. I kept riding but it wasn’t enough to hold off a fast moving peloton on the fast run in and I got swept up with 3km to go and finished in the bunch. 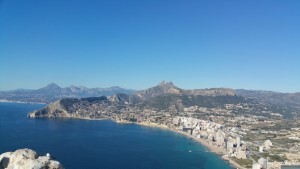 The view from the top of Calp Rock. Now I’m on my final week of training before coming home to the UK. It’s been a great 7 weeks so far. It’s also been great meeting new people and team mates, learning new things and having good debates on the evenings. Now on to this week just gone, I took the week rather easy as I had the first big race of the year at the weekend (Chorley GP). I was feeling good before the start, and after the first time over the climb I was in the front 10 down the decent. At the bottom of the decent I was 3rd wheel and rode hard out of the left had turn and got a gap so I just kept riding and this put me in a breakaway which Ian Wilkinson joined me about 2 miles down the road, then Rob Partridge joined us a few miles later. We continued to work together and did 2 laps before getting caught by the peloton controlled by JLT. While in the break I managed to get 2nd overall in the sprints competition. At the end of the race I managed to get 24th.